Amazing recycled-glass disk bead necklace. 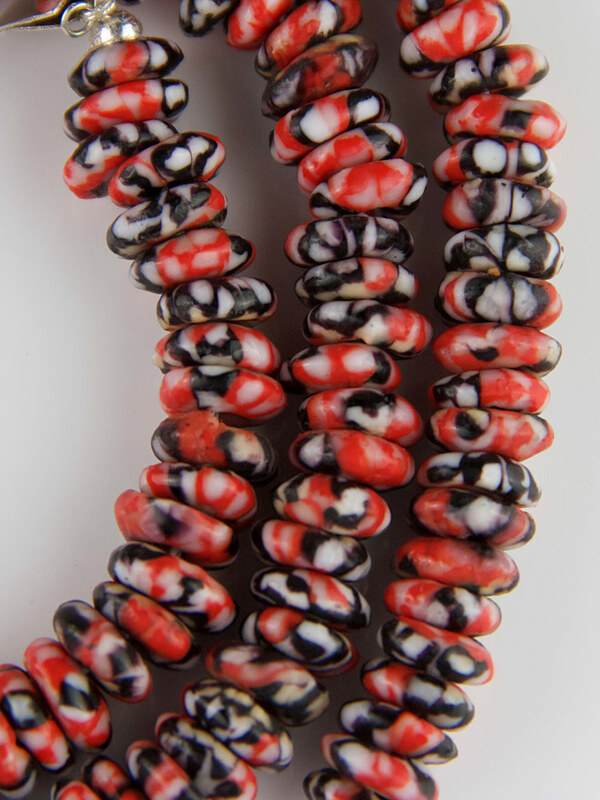 These beautiful beads are handcrafted in Ghana, Africa. 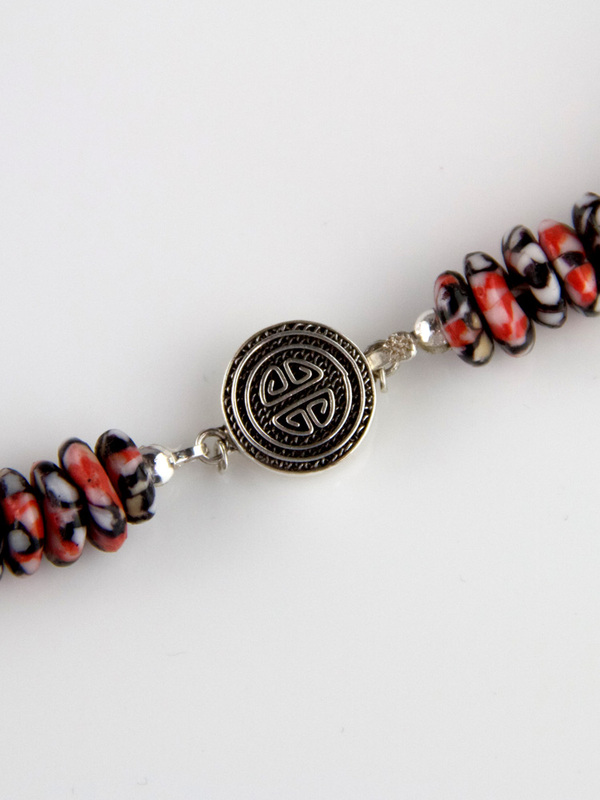 They are a reddish-pink, black and white disk bead with a delicate and detailed painted pattern. The clasp is a lovely sterling silver round box clasp clasp, fittings are all sterling silver. 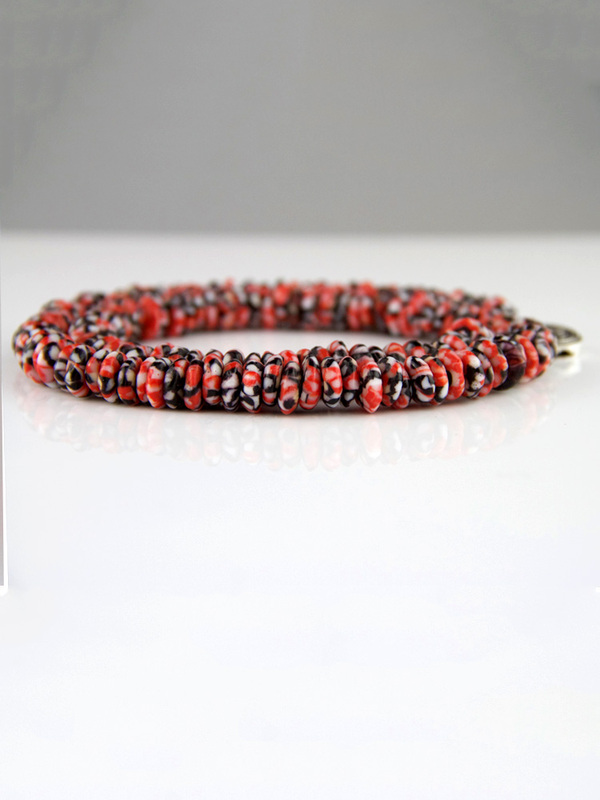 This is a stunning bead, the pattern is a detailed and delicate pattern. This is a unique vintage bead necklace. 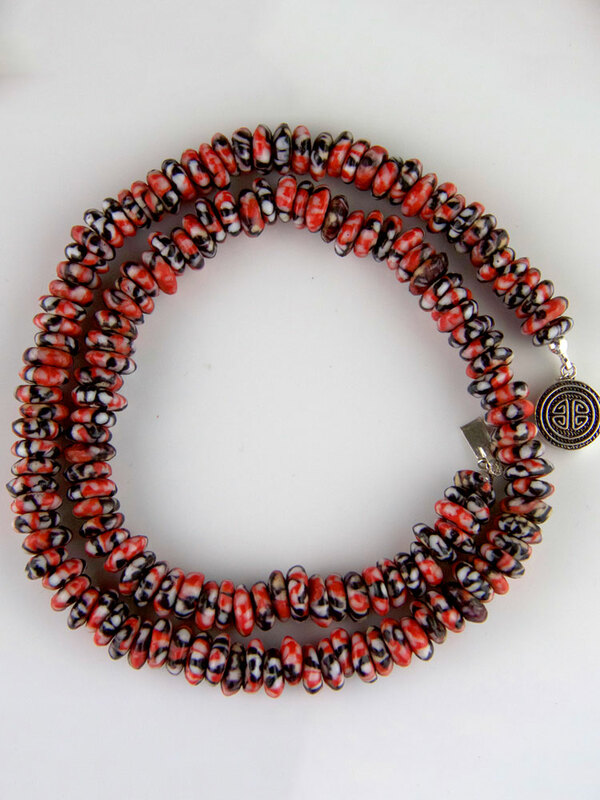 The beads are handmade, vintage recycled-glass beads from Ghana called Krobo beads. They are crafted from recycled glass bottles; broken into chips or ground to a fine powder in a mortar and pestle, they are kiln fired in clay moulds in patterns or hand decorated with painted layers and fired between each layer, so each bead is a slightly different shape and pattern. These necklaces are newly strung on sturdy c-lon with a new sterling silver tab clasp. 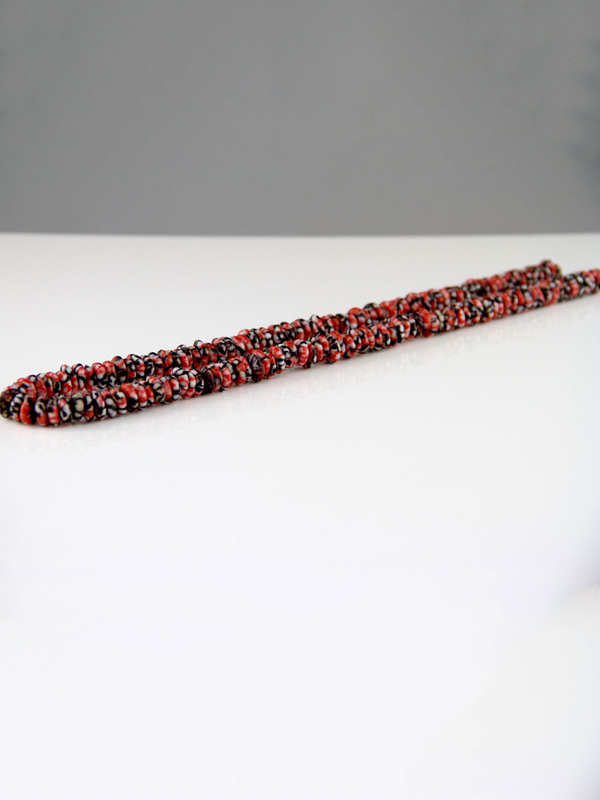 They are bright and bold African bead necklaces that look fantastic with a few on together in different patterns.